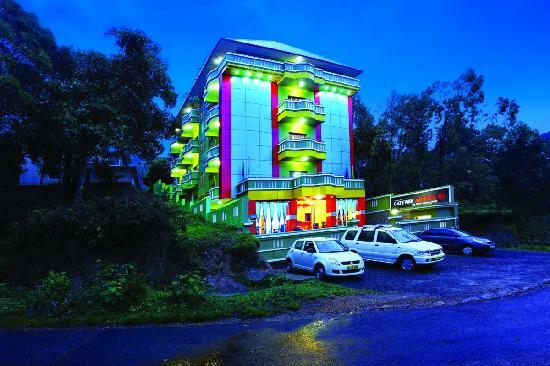 Munnar in Kerala is blessed with several destinations which are capable enough to make your journey most memmorable. 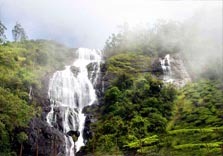 Among them, the majestic waterfalls of Munnar stand unique with its pristine beauty and attractiveness. Some of the famous waterfalls of Munnar are Lakkam waterfalls, Attukal waterfalls, Nyayamakad waterfalls, Chinnakkal waterfalls, Kuthumkal waterfalls, Cheeyappara waterfalls, Valara waterfalls and Thoovanam waterfalls. The waterfall lays 9 km away from the Munnar town, on the way to Pallivasal. 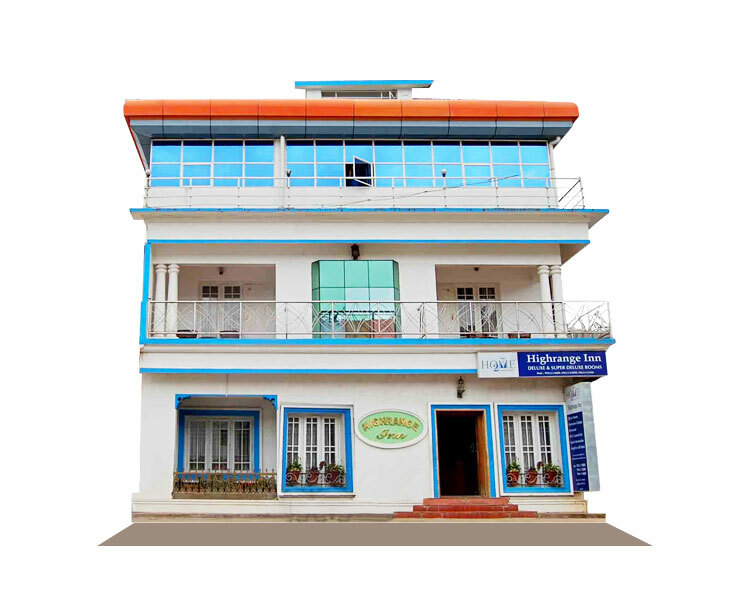 It is one of the most attractive destinations, which you should not miss while planning a trip to Munnar. 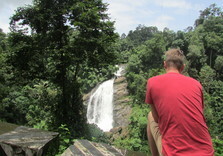 Attukal offers the beauty of water falling from the top of the mountain. The sight of the roaring water and the rolling hills around is something which you can never delete from your memories. You can also plan trekking along the hill slopes of this waterfall. Located between Munnar and Rajamala, Nyayamakad is a breathtaking waterfall. 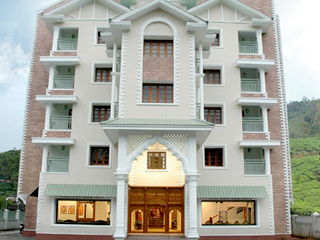 It is placed around 10 km away from Munnar. 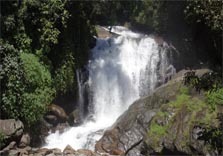 The water cascade down from a height of about 1600m and the area is an ideal picnic and trekking spot. The beautiful waterfall is surrounded with lush green forest, which will be a perfect spot for those who love adventure and want to have a trekking experience. 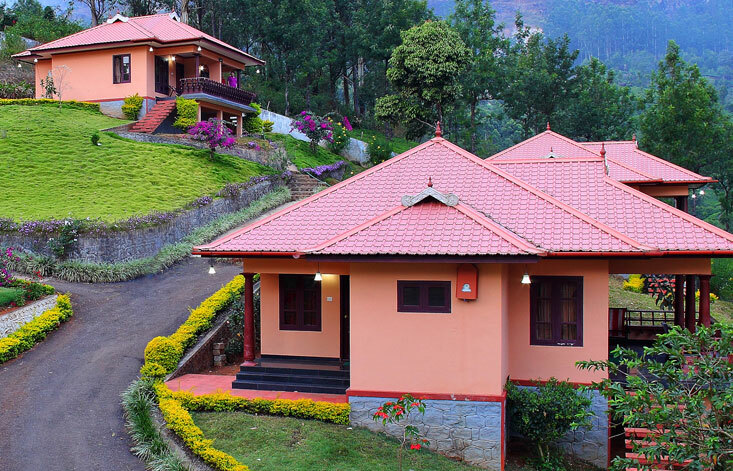 Visit Nyayamakad after monsoon, as the weather will be perfect during summer and winter. Chinnakanal or Power House waterfall is located 18 km away from Munnar. The origin of this beautiful waterfall, surrounded by green mountain ranges, is from the River Devikulam. The river got its name from the legend that Sita Devi, wife of Lord Rama has taken a dip in this river. 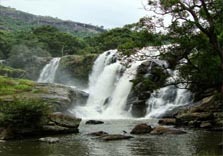 The uniqueness of Chinnakanal waterfalls is the green nature around, which attracts tourists from all over the world. The surrounding green plantations gives a classic look to the waterfalls. A charming picnic spot for the tourists, Kuthumkal waterfall is 24 km away from Munnar and 6 km away from Rajakkad. Due to the high velocity of the water flow over the rock, the waterfalls always have a distinctive mist emerging effect. This lovely picnic spot in Munnar attracts thousands of tourists every year. 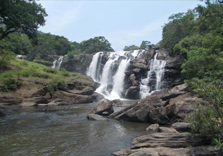 Kuthumkal waterfalls will be an ideal place for you and your family to spent some quality time and get your mind and soul refreshed. 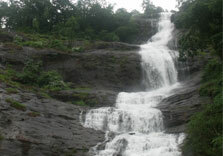 Cheeyappara waterfalls lie on the Kochi­ Madurai highway between Neriamangalam and Adimali in Idukki district. It is around 40 km away from Munnar. The water here cascades down in seven steps, which is a delightful sight. This place is also famous for trekking. 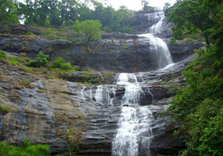 The Cheeyapara waterfalls is situated approximately 1000 feets above the sea level. It is very easy to reach this picturesque spot as it is very well connected to the nearby cities. 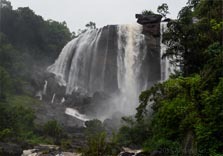 Like the Cheeyappara falls, Valara waterfall is also located between Neriamangalam and Adimali. Valara has a chain of waterfalls which is surrounded by thick green forests. The waterfall is around 42 km away from Munnar. Here the water cascades from a height of 1000 m, which itself is a treat to your eyes. Another interesting fact of Valayar is that the Thottiyar Hydroelectric Project of Kerala Electricity Board is very close to Valayar waterfalls. Deep inside the Chinnar wildlife sanctuary lays the Thoovanam waterfalls. The waterfalls is created by River Pambar. You have to take a trek into the forest in order to reach the waterfalls. It is around 60 km away from the Munnar town. You can enjoy the sights of wild flora and fauna here. 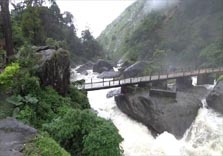 This trekking experience itself makes Thoovanam different from other waterfalls in Munnar. The trek starts from Alampatty Forest check post and it will around one hour to reach the waterfalls.